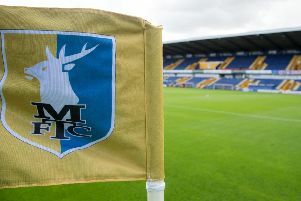 Mansfield Town go into the huge Easter weekend excited by the enormity of the two games with manager David Flitcroft insisting this season’s promotion chase will go right down to the last weekend. Stags, without a win in five games and in seventh spot, face Accrington Stanley at home tomorrow (Good Friday, 3pm) before a trip to Luton Town on Easter Monday (3pm) with Luton only keeping Stanley off top spot on goal difference. Flitcroft is still searching for his first win after four games in charge and, despite last weekend’s defeat at Forest Green, said: “I and the players are excited about the weekend. “This season is going to go to the wire – right to the end of the season. “Everybody saw the Chesterfield v Notts game. Before the game with all the pundits it was nailed on that Notts were just going to go and roll Chesterfield over. Despite the importance of the Easter games, Flitcroft insisted they would not define Mansfield’s season. “We have what we have left and people want defining moments of the season,” he said. “But at Bury we got up on the last day with 12-14 minutes to go to get promoted out of this league. “So you can define something. But once you’ve defined it and said that’s it, then everyone just gives up. You never give up until the last breath of the last game and that’s what we’ll continue to do. “Wherever I have been in football and wherever I’ve been this week, you get the feeling it’s been set up this weekend. “It’s a big weekend against two teams in good form all season. “Luton away for all fans, wherever you are in the league, is one of the big ones. 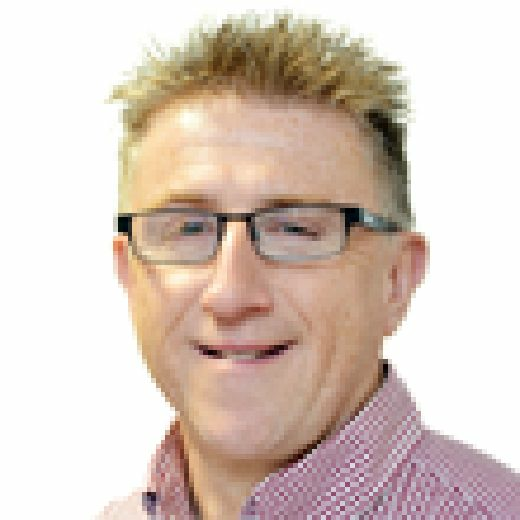 “Accrington have been so consistent all season and, rightly, over the last few weeks have ended up top of the league, even though they’ve just been overtaken. “They have had a phenomenal season and all credit to them. “I think they have finished every season higher than the season before. That’s difficult to do and keep doing. “They kept driving and pushing when they were non-League. They’ve had disappointments in play-offs. He added: “It’s now up to us to make sure we find a chink in their armoury – a weakness. We must make sure we are asking questions of Accrington and we stay solid. “They have a potent strike force. We have to be on our A game. “I want to see the work we have implemented on the training ground over the last couple of weeks. “When we attack we must attack with a verve, a zest and an enthusiasm. And we need more end product. “We also need more clean sheets. We have to protect our keepers more. It’s important – we’ve only had nine all season. Mansfiedl have not beaten Accrington in 13 League meetings and Flitcroft admitted: “It’s a phenomenal stat and you do get them in football. “The great thing with records like that is that someone eventually is going to reverse that. “It’s certainly not a stat I will be using with the players as we do try to focus on what we need to do and the task in hand. The manager can’t wait to get his first Stags win under his belt after a difficult start to his tenure. “I am desperate for that,” he said. “The day I walked out here, that was the day I realised what I’d walked into. “The reception I got and Futch (assistant Ben Futcher) got was something that will last for a long, long time. “I am desperate as I’ve ever been to do well for this football club and the owners. I am going to galvanise a group of players to do that as I’ve never felt in a better place in my life in football. Flitcroft believes those home fans can be key tomorrow. “After feeling the energy from the supporters in my first two games here, that’s what we’ve got to use to set alight this stadium,” he said. “Look at our fight back with 4,000 fans behind us at Notts. We’ve got to tap into that. “The team has done that really well all season. We’ve got to make sure we create the energy on the pitch so the energy comes from the supporters.